Kol Chai seeks to offer its members a meaningful spiritual life through Shabbat and festivals, celebration and comfort, prayer and study, at every point in their lives. Our services are informal and inclusive, our space has a warm spiritual atmosphere, and everyone is equally valued. Members are encouraged to participate in leading services. It is not unusual at Kol Chai for twenty or more people to take part in leading a single serivce. We welcome everyone, no matter what their heritage or level of Jewish understanding. Wherever you are on your Jewish journey we can reach out to you and help you stay energised and motivated. We encourage and welcome non-Jewish partners, whether you wish to to become Jewish, learn more about Judaism, or just be involved in celebrations and the life of the community. As Rabbi my role is to be a guide towards spiritual truth and understanding. Kol Chai recognises that everyone’s journey is different and solutions and education must be tailored to individual needs. Kol Chai excels in warm and friendly ceremonies at the age of 13 for Bar and Bat Mitzvah. We are able to create a very special intimacy, warmth and involvement, with the boy or girl standing only a few feet away from family and friends. Kol Chai is a favoured venue for smaller weddings with up to 60 guests. Your reception can be held on site and your chuppah will be enhanced by the warm atmosphere of our synagogue. It is at the saddest moments of our life that we discover the true meaning of community. Kol Chai has a proud tradition of supporting its members through times of grief. * We offer a full shiva service after the death of members’ parents, even when they are not part of our community. * Ongoing bereavement support through our network of trained volunteers. 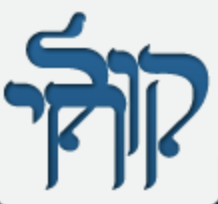 Do contact me on rabbi.naomi@kolchai.org if you would like to discuss any matter in complete confidence.